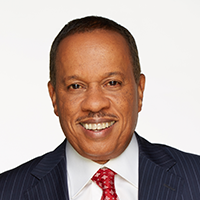 On The Five, Williams is part of a roundtable ensemble of FNC personalities who discuss, debate and even debunk the hot news stories, controversies and issues of the day. In addition to his more than 10-year career with NPR, where he served as a senior national correspondent and news analyst, Williams spent 23 years at The Washington Post. During his tenure there, Williams covered every major political campaign from 1980 to 2000 as a national correspondent and a political columnist. He has also interviewed numerous influential people and presidents over the course of his career, including former President Obama, former President George W. Bush, former President Clinton, former President George H. W. Bush and former President Reagan. Williams' career in media spans back several decades across many platforms. A recipient of several awards for his writing and investigative journalism, he also won an Emmy Award for television documentary writing and has received widespread critical acclaim for numerous projects, including a series of documentaries, including: "Politics: The New Black Power" and "A. Phillip Randolph: For Jobs and Freedom." Additionally, he is the author of six books, including the non-fiction bestseller, "Eyes on the Prize: America's Civil Rights Years, 1954-1965" and "Thurgood Marshall: American Revolutionary." Williams has also written numerous articles and has contributed to many national magazines, including: TIME, Fortune, The Atlantic, The New Republic, Ebony and GQ.